Nicholson’s pubs are launching their National Beer Showcase 2017 across 77 pubs from the 11th September to 22nd October. Running for six weeks, the celebration of beer and Britain’s best breweries will feature 28 new beers. Events across the estate include guest talks, workshops and tastings. Nicholson’s Cask Masters from each region have created six ‘District Beers’ from the UK’s best breweries, including Hop Stuff Brewery, London Brewing Co. and West Berkshire Brewery. Attendees can also pick up their complimentary There’s A Beer For That guidebook to learn more about the ‘District Beers’, which include Mjango Unchained, Rye the Hell Not and Ryeders of the Lost Cask. Also available to the showcase will be the oaked pale ale, Two Bays – a collaborative beer from award-winning breweries Adnams and Cigar City Brewing. 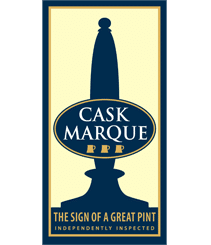 Brit pop fans will get to sample a beer created by Yorkshire band Shed Seven and Rudgate Brewery, exclusively available at Nicholson’s Pubs from 1 st October. Joining the Beer Showcase from 8th October will be Nicholson’s own-brand Porter, back by popular demand after a three-year hiatus. The Old White Swan (York) – on 20th September, competition winners will get to visit Yorkshire’s Rudgate brewery to find out how the Britpop band, Shed Seven’s, ‘Going for Gold’ beer is made. The brewery tour will be followed by a launch party at nearby pub, The Old White Swan, as well as a meet-and-greet with the band themselves. The Mitre (Cambridge) – on 28th September, Adnams will be hosting an exploratory tasting of their new collaborative beer, Two Bays, created with Florida’s Cigar City Brewing. The Shakespeare, The Shakespeare Inn, Bacchus Bar & The Old Contemptibles (Birmingham) – Purity Brewing Co will host four events on 13th, 20th, 27th September and 4th October, featuring live beer-making demos alongside five halfpint tastings with hand-picked food pairings. For the full listings of events and dates visit www.nicholsonspubs.co.uk/beershowcase.